At our chiropractor in Westlake Village and Thousand Oaks, CA you can receive all-natural treatment for most injuries. We provide pain relief while correcting misalignments caused by injuries. Additionally, through chiropractic care, we can help your body increase its ability to heal more rapidly after an injury. 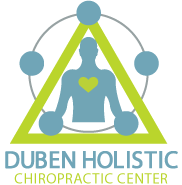 Learn more about what you can expect when you visit Duben Holistic Chiropractic Center for common injury treatment. If you play recreational or competitive sports, you may suffer from repetitive use or traumatic injuries. Repetitive use injuries include a rotator cuff injury, tennis elbow, frozen shoulder, Achilles tendonitis, and runner’s knee. These injuries are caused by overuse or over-extension of the joints and ligaments. A traumatic sports injury is one that occurs in an instant and typically cannot be avoided. However, with regular chiropractic care near Thousand Oaks, CA you can help strengthen your musculoskeletal system so you are less likely to be injured in a sports accident. Types of traumatic sports injuries include lower back strain, pulled muscles, skull fracture, stress fracture, and knee damage from twisting. After you have been in an auto accident you want to see our chiropractor near Thousand Oaks, CA as soon as possible. This is because you have most likely experienced an auto accident injury. The most common injuries we see due to a car crash are neck pain, whiplash, herniated discs, and lower back pain caused by muscle sprain. We can use chiropractic adjustments along with cold laser therapy, spinal decompression, and applied kinesiology to help you recover more effectively. By getting a diagnosis as soon as you can after your accident, we can ensure that your treatment is covered by your auto insurance claim, if applicable. Through chiropractic care in Westlake Village, you can help your body heal more quickly after your accident without the use of surgery. Additionally, our use of chiropractic therapies provides all-natural pain relief after an injury. Here at Duben Holistic Chiropractic Center, we offer drug-free injury treatment at our chiropractor in Westlake Village, CA. Under the care of Drs. Alan Duben and Lindsay Erickson we can help you regain your mobility and function after an injury or illness.